WTF Are You Reading? : Experience A New Voice In Scifi Thrills With "The Taking"
Experience A New Voice In Scifi Thrills With "The Taking"
A flash of white light . . . and then . . . nothing. 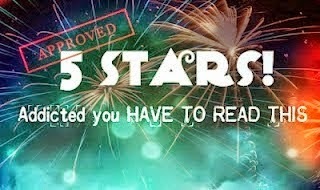 When sixteen-year-old Kyra Agnew wakes up behind a Dumpster at the Gas ’n’ Sip, she has no memory of how she got there. With a terrible headache and a major case of déjà vu, she heads home only to discover that five years have passed . . . yet she hasn’t aged a day. Everything else about Kyra’s old life is different. Her parents are divorced, her boyfriend, Austin, is in college and dating her best friend, and her dad has changed from an uptight neat-freak to a drunken conspiracy theorist who blames her five-year disappearance on little green men. Kimberly Derting has once again proven why her title as the 'breakout sleeper novel Queen' is so well deserved. Kyra Agnew is a girl whom it seems, has gotten the chance that so many of us dream of. To go to sleep one person and wake up someone completely different. Only in her case there was no sleeping or waking involved, everyone Kyra has known and loved has changed, and Kyra was not only changed, she was TAKEN. If you are a child of the 90's, or have a really good Scifi video collection. There is no way that this book doesn't call to mind the edge of your seat, alien hunting goodness that is The X-Files. You see, when Kyra Agnew finds herself alone behind the local gas station/convenience store, wearing the same clothes that she had been when she launched herself out of her father's car in a huff, with no memory of the time lapse between events. Well, let's just cue the creepy music right about...here. Adding to that list of things that make one question that oh so tenuous hold that we all like to believe we have on sanity. Kyra goes home to find that her mother and father have divorced, her mother has now married a man to whom Kyra not so lovingly refers as 'The Husband', she now has a baby brother named Logan, her boyfriend Austin has moved away to college, his younger brother Tyler has somehow managed to become a lot older and 'hotter'...and oh yeah...Kyra has been missing for five years! 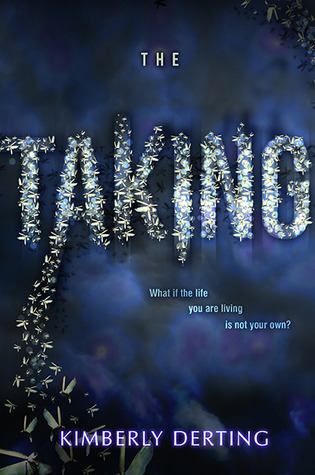 The Taking is a story that is crafted in such a way, that for the first half of the book readers are just as unsure about what has happened and is happening as Kyra. Because of this, one is truly given the chance to experience each occurrence, loss, hurt, epiphany, and discovery through her eyes. Thereby establishing the all important emotional bond between reader and this main character very early within the story. Authoress Derting also takes great care with the elements of backstory and setting to convey to her audience just how drastically life has changed for our 'little girl lost'. One great example of this being the tie-in between her pre-incident relationship with Austin Wahl, it's dissolution, and the resulting post-incident happenings with the younger and hotter Tyler Wahl. She has increased strength, speed, etc. She is being stalked by a certain Agent Truman. At the start of part II, otherwise known as just beyond the book' midpoint; things go from very Contemporary, and just a bit 'I don't know,' to full on action packed Scifi. The transition is a seamless one, that only acts to amp up reader involvement without making the effort of doing so apparent to the audience in any way. The second half of this read is where we readers are afforded the chance to sit with our heart in our collective throats with every page turned. We are also treated to very heart-melting plot twists involving Tyler, designed to make not loving him impossible. This is an excellent first book. A joy to read and a must for every YA book pile. Be sure to continue your journey into the unexplained with The Replaced. 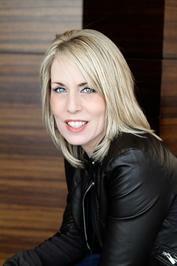 Kimberly is the author of the BODY FINDER series (HarperCollins), THE PLEDGE trilogy (Simon & Schuster), and THE TAKING trilogy (HarperTeen). She lives in the Pacific Northwest, the ideal place to write anything dark or creepy...a gloomy day can set the perfect mood. She lives with her husband and their three beautiful (and often mouthy) children who provide an endless source of inspiration. I have already bookmarked you.